Draft: 2004, Pittsburgh Pirates, 1st rd. Neil Martin Walker...graduated from Pine-Richland (PA) High School in 2004...batted .657 with 13 home runs and 42 RBI as a senior while helping the Rams win the WPIAL title...selected to USA Today's 10-player All America team as a senior...as a senior on the football team, caught 68 passes while intercepting six... scored 21 touchdowns during his high school career...made the Associated Press' first-team All-State team in football as a senior... his father, Tom, was a pitcher in the Major Leagues with Montreal, Detroit, St. Louis and California from 1972-77...had a career record of 18-23 with 11 saves and a 3.87 ERA in 191 games (17 starts)... his father was scheduled to be on Roberto Clemente's tragic 1972 New Year's Eve plane crash before Clemente told Walker it wasn't necessary to make the trip...Tom had assisted loading the plane that afternoon with supplies heading to Nicaragua...older brother, Matt, played in the Detroit system after being drafted in the 37th round of the 2000 draft...older sister, Carrie, played basketball with Killarney of the Women's Irish Super League after graduating from Wagner College in Staten Island, where she was a 1,000-point scorer...her husband is Don Kelly, who played for Detroit from 2009-2014 and with Miami in 2015-2016. Spent first season in American League in 2018 with the Yankees...Opened with a hit in nine of his first 10 games...Notched walk-off hits on May 12 vs. Oakland (single) and August 28 vs. the White Sox (home run)...The homer on August 28, off of Dylan Covey, came as a pinch hitter. Marked his second career walk-off homer, and first career pinch-hit homer...Made first career appearance in the outfield on July 28 vs. Kansas City, as a defensive replacement in right field. Went on to make 15 more appearances (12 starts), all in left field...Appeared in four postseason games. Was a defensive replacement in 7-2 Wild Card win over Oakland, and went 1x4 with an RBI in three games during ALDS vs. Boston. Played in 113 games in his first season with New York before having a season-ending lumbar micro discectomy procedure September 8...Matched a career-high with 23 home runs (also 2014 with Pittsburgh)...His 23 home runs were third-most in a single-season by a Mets second baseman (Edgardo Alfonzo holds the top two spots with 27 home runs in 1999 and 25 homers in 2000)...His 23 home runs were the most among National League second basemen...Homered in back-to-back games five times, the most times he's done so in a single-season in his career...Batted .330 (33-100) with eight home runs and 16 RBI versus lefthanded pitching...The eight home runs off lefthanded pitching were the most he's hit in a single-season in his career...Had six career homers off lefthanded pitching entering this season...Finished the month of April with 19 RBI, his most ever in the month of April...His previous best was 11 RBI in April of 2014...His nine home runs in April tied a franchise record for the month of April...Dave Kingman (1976), Carlos Delgado (2006) and John Buck (2013) also hit nine home runs in April...Homered off José Quintana to give the Mets a win in an eventual 1-0 game on May 30 vs. Chicago-AL...Was the 28th 1-0 win decided by a home run for the Mets in team history...Prior to his season-ending surgery, Walker was batting .440 (40-91) with three doubles, one triple, seven home runs, 15 RBI and 19 runs scored from July 27-August 27 (23 games)...Had five, three-hit games and one, four-hit game in that time. Led all NL second basemen in extra-base hits (50), home runs (16) and slugging percentage (.428)... Had two putouts and one assist as part of a 4-5-4 triple play on May 9 vs. St. Louis...The 4-5-4 triple play is believed to be the first in major league history....Had a hit from both sides of the plate in the same inning (first inning) on August 13 at St. Louis....Set a career-high with six RBI on September 23 at Colorado while going 4-for-5. Started at second base in Pittsburgh's NL Wild Card Game match-up with Chicago. Was named to the Louisville Slugger Silver Slugger team, the first Pittsburgh second baseman to win the award since Johnny Ray in 1983...Established club record for most home runs (23) in a season by a middle infielder; previous high of 19 was held by Hall-of-Fame second baseman Bill Mazeroski in 1958 and Hall-of-Fame shortstop Arky Vaughan in 1935...Extended his club record to five straight seasons with at least 10 home runs while playing second base...Ranked first among National League second basemen in home runs, slugging percentage (.469) and OPS (.811); ranked second in RBI (76) behind Chase Utley (77)...Produced a .280 average and two home runs while batting right handed and a .269 average and 21 homers batting left handed; the first time in his big league career he batted higher against LHP...Made 135 appearances (132 starts) at second base and ranked second in the N.L. with a .992 fielding percentage behind Cincinnati's Brandon Phillips (.996)...Made his fourth straight Opening Day start at second base; the longest streak by a Bucco player since Carlos Garcia from 1993-1996...Hit a walkoff home run on Opening Day to beat the Cubs, 1-0, in 10 innings- it was his first career walkoff hit of any kind in the Majors...Recorded his second career two-homer game on 4/14 at Cincinnati...Teamed up with Gaby Sanchez to hit back-to-back home runs twice in the game on 4/14 - just the second set of Pittsburgh teammates to do so (also Toby Atwell and Jerry Lynch on 4/27/54 vs. Cincinnati)...Connected off LHP Manny Parra for his fifth career home run batting right-handed on 4/15 at Cincinnati...Was tied for the National League lead in home runs after hitting his sixth on 4/20...Reached base safely in all five plate appearances on 5/1 at Baltimore (game two) and in seven straight PA's from 5/1-2...Went 3-for-4 with three runs scored while batting second on 5/2 vs. Toronto...Hit game-winning three-run homer in seventh inning of Pittsburgh's 6-4 win vs. St. Louis on 5/9; also had seasonhigh four RBI...Hit safely in 11 straight games from 5/20-30 (16-for-45; .356)...Tied for fifth among N.L. batters with 35 hits during the month of May; hit .313 with four home runs and 17 RBI during the month...Had three hits and three RBI on 6/2 at San Diego and hit a two-run homer the following night...Started each of the first 58 games thru 6/3 - the longest streak of consecutive starts at the beginning of a season since Jason Bay in 2007 (79)...Had an emergency appendectomy on 6/9 and was placed on the 15-day disabled list...Played one rehab game with High-A Bradenton on 6/22...Faced Gerrit Cole in a simulated game in Tampa on 6/23...Was recalled from rehab and reinstated from D.L. on 6/24...His 13 home run at the All-Star break established a team record for a second baseman; Phil Garner hit previous record 12 in 1977...Reached base safely in 22 consecutive games from 6/27 thru 7/25...Missed back-to-back games on 8/2-3 due to low back tightness...Made start on 8/5 vs. Miami, but missed eight of the next nine games before returning to starting lineup on 8/15...Bounced a home run into the Allegheny River for the first time in his career with his 432' blast off Atlanta's Ervin Santana on 8/18...Homered while batting right handed off Chicago's Travis Wood on 9/7 at Wrigley Field (his sixth career homer off a lefty and his second of the season)...Hit his 20th home run on 9/14 vs. Chicago, setting the club record for most home runs hit in one season by a second baseman...Also became the second switch hitter in team history to hit at least 20 home runs in a season (also Bobby Bonilla in 1988, 1989 and 1990)...Went hitless in four at bats against LHP Madison Bumgarner in the Wild Card Game vs. San Francisco on 10/1. 2013 SEASON: Had a career-high 16 home runs, the most by a Pittsburgh second baseman since Bill Mazeroski hit 16 in 1966...Became the first second baseman in club history to hit at least 10 home runs in four straight seasons...Ranked fifth among National League second basemen in home runs...Hit all 16 of his homer while batting left-handed...Hit .295 in 67 games at PNC Park, which included a .355 (33-for-93) clip in his last 26 home games starting on 7/31...Was Pittsburgh's Opening Day starter at second base for the third straight season...Snapped an 0-for-21 streak with a two-run single in Arizona on 4/9...Hit safely in 11 of his 12 games from 4/9-23 (17-for-48, .354), raising average from .083 to .264...Hit first home run on 4/15 vs. St. Louis...His triple on 4/19 vs. Atlanta was his first since 8/23/11...Left game on 4/26 at St. Louis with a right hand laceration (received six stitches)...Was placed on the 15-day D.L. on 5/3 (retro to 4/27)...Spent four games on rehab with Double-A Altoona from 5/9-12 and went 5-for-12 with a double and an RBI...Was recalled from rehab and reinstated from D.L. on 5/13...Accounted for the only run in a 1-0 win at Detroit on 5/28 - hit a solo home run off Jose Ortega in the 11th inning...Homered in back-to-back games on 5/28-29...Went 1-for-17 in a five-game stretch from 6/17-21...Went 6-for-12 in his next four games thru 6/26...Homered off Felix Hernandez in Seattle on 6/26...Left the game on 7/6 at Wrigley Field with right side soreness and was placed on the 15-day disabled list on 7/9 (retro to 7/7)...Went 2-for-9 with a double during a three-game rehab stint with Triple-A Indianapolis between 7/19-21...Was recalled from rehab and reinstated from D.L. on 7/23....Appeared in 500th career game on 8/4 vs. Colorado...Had season-high nine-game hitting steak (15-for-37, .405) from 8/4-14...Hit .305 (32-for-105) in 27 games during the month of August...Made start from leadoff spot in the lineup for the first time in his career on 9/1 vs. St. Louis and went 1-for-4...Went hitless in three at bats while making his second start from leadoff spot in the lineup on 9/8 at St. Louis...Homered four times in a five-game stretch from 9/19-23 and hit seven home runs in his final nine games...Had first career two-homer game in his final regular season game on 9/28 at Cincinnati...Committed just one error (9/4) in his last 71 games (341 chances)...Was named the Chuck Tanner Award winner by the Pittsburgh chapter of the Baseball Writers Association of America; an award created in 2006 that is given to the player who is most cooperative with the media (also won the award in 2011). 2013 POSTSEASON: Went 2-for-5 with a double and an RBI in the Wild Card Game vs. Cincinnati on 10/1...Went hitless (two walks) in 19 at bats during the Division Series against St. Louis. Spent second full season in the Majors with Pittsburgh...Set career high with 14 home runs - the most by a Pittsburgh second baseman since Warren Morris hit 15 in 1999...Hit all of his home runs while batting left-handed...Ranked third among N.L. second basemen with a .428 slugging percentage, fourth in RBI and fifth in home runs...Made 125 appearances (124 starts) at second base...Missed 27 of the final 35 games due to lower back problems...Was Pittsburgh's Opening Day starter at second base for the second straight season...Went 1-for-21 in his first seven games before hitting safely in five straight games (9-for-20) to raise his average to .244 on 4/18...Hit safely in 13 of his 15 games (21-for-54, .389) from 4/14 thru 5/1 to lift season average to .293...Connected off Cincinnati's Mike Leake on 5/5 at PNC Park for first home run...Batted .347 (59-for-170) over a 44-game stretch from 5/26 thru 7/17, raising average from .253 to a season-high .302...Hit safely in 17 straight games from 6/27 thru 7/17, going 32-for-66 (.485) with 14 RBI, 20 runs scored and 10 multi-hit games...Produced second career five-hit game on 7/8 vs. San Francisco, going 5-for-5 with a home run...Connected off Casey Coleman for second career grand slam and tied career high with five RBI on 7/31 at Chicago...Tied for fourth in the National League in hits (34), runs (20) and RBI (21) while batting .358 in 26 games during the month of July...Had second five-RBI game of the season (third career) on 8/8 vs. Arizona...Went 5-for-5 with a home run on 8/12 vs. San Diego to become just the third player in team history to have two games in his career in which he went 5-for-5 with a home run (also Hall-of-Famers Willie Stargell and Arky Vaughan)...Suffered a dislocated right pinky finger on 8/15 vs. Los Angeles...Saw hand specialist Dr. Tom Hughes on 8/16 and missed three games...Grounded into a double play as a pinch hitter during 19-inning game on 8/19 at St. Louis...Returned to starting lineup on 8/20 at San Diego and went 1-for-3 with an RBI...Hit .180 (11-for-61) with two RBI in 18 games after going 5-for-5 on 8/12 and .192 (10-for-52) in 15 games after returning from dislocated pinky injury...Did not start 16 straight games from 8/27 thru 9/14 due to low back problems (Pirates went 4-12)...Finished season hitting safely in five straight games (7-for-20, .350), going 2-for-3 in his last game on 9/24 at New York...Hit .306 (34-for-111) with runners in scoring position and .309 (58-for-188) with runners on base. Spent his first full season in the Majors with Pittsburgh...Led allNational League second basemen with 83 RBI - the most by a Bucco second basemansince Tony Piet had 85 in 1932 (only Robinson Cano- 114 and Dustin Pedroia - 91 hadmore among all Major League second basemen)...Led Pirates in games played, at bats,hits and doubles...Led N.L. second basemen with a .992 fielding pct. and ended the seasonwith a 56-game errorless streak - the longest such streak in one season by a Bucco secondbaseman since Freddy Sanchez went 82 straight errorless games to end the 2008 season...Also led N.L. second basemen in double plays (108) and putouts (333)...Ranked secondwith 781 total chances behind Washington's Danny Espinosa (783)...Hit first career grandslam on Opening Day at Chicago (off Ryan Dempster) - just the second Pittsburgh player tohit a grand slam in the season opener; also Roberto Clemente on 4/10/62 vs. Philadelphia...Hit safely in seven of his first eight games (.389) thru 4/8...Appeared in the cleanup spotfor the first of a team-high 66 times on 4/16 and hit a two-run homer...Snapped an 0-for-13 streak with a three-hit game on 4/24 vs.Washington...Hit lone home run batting right-handed off Houston's Wandy Rodriguez at PNC Park on 5/6...Started each of the first 36 gamesbefore missing his first game on 5/11 vs. Los Angeles with flu-like symptoms...Homered and knocked in career-high five runs on 5/20 vs.Detroit...Went hitless in his next 18 at bats before hitting safely in seven straight games thru 6/2...Led Pirates with 19 RBI in May...Hit .213(20-for-94) in 26 games during the month of June, dropping his season average from .265 to .248...Appeared in 42 straight games beforemissing second game on 6/30 at Toronto...Hit safely in a team-high 13 straight games from 7/2-19, going 24-for-53 (.453) and raisingaverage from .246 to .277...Had season-high four hits on 7/16 at Houston...Batted .366 (37-for-101) in 26 games during the month of July,ranking second among N.L. hitters in average and fifth in hits...Snapped an 0-for-22 streak with a two-hit game on 8/15 vs. St. Louis...Hitfinal home run on 9/4 at Chicago...Appeared in 71 straight games before missing his third and final contest on 9/17 at Los Angeles...Ledall Major League players with 13 doubles in September...Made 159 appearances (155 starts) at second base and committed just six errors(four throwing and two fielding)...Made last error on 7/30 at Philadelphia...Hit .310 (81-for-261) with runners on base and went 6-for-8with 15 RBI with the bases loaded...Produced a .314 average (37-for-118) in 33 games while batting fifth in the lineup...Was named theChuck Tanner Award winner by the Pittsburgh chapter of the Baseball Writers Association of America; an award created in 2006 that isgiven to the player who is most cooperative with the media. Began season with Indianapolis (AAA), where he made 21 appearances at second base, 14 in left field, six at firstbase and one at third base (4/18)...Went 4-for-4 with three RBI on 4/28 at Pawtucket...Hit safely in nine straight games from 5/6-14 (15-for-40, .375) and tallied his second four-hit game on 5/13 vs. Rochester...Was successfulin each of his first 10 stolen base attempts with Indianapolis before being caught for theonly time on 5/16 at Toledo...Ranked second in slugging percentage (.595) and third in OPS(.982) for the month of May among all International League hitters...Was ranked first in theInternational League in doubles, second in extra base hits (26) and total bases (94), thirdin hits (54), fourth in slugging percentage (.560) and sixth in batting average at the time ofhis recall to Pittsburgh on 5/25...Went 3-for-8 in first two starts at third base after recalland talled first Major League RBI in first game with Pirates on 5/25 at Cincinnati...Made firstbig league start/appearance at second base on 5/27 at Cincinnati...Connected off Chicago'sTed Lilly for first Major League home run on 6/1; a game-winning, two-run shot that gavethe Bucs a 3-2 lead in the 8th inning...Tallied first big league triple on 6/5 vs. SanFrancisco...Left game on 6/25 in Oakland after colliding with right fielder Ryan Church ona popup down the right field line and missed next seven games due to concussion-likesymptoms...Had six straight multi-hit games from 7/17-22, going 16-for-27 (.593) andraising average 51 points from .269 to .320...Had career-high five hits on 7/20 vs.Milwaukee and six straight hits 7/20-21...Tallied career-high four RBI on 8/3 and again on8/31 at Chicago (NL)...Received only pinch-hitting at bat and grounded out on 8/18 vs.Florida...Homered in back-to-back games on 8/28-29 and went deep four times in a five-game span from 8/28 thru 9/1...Had a clubseason-high 18-game hitting streak from 8/23 thru 9/12 (28-for-77, .364); the longest streak by a Pittsburgh rookie since Rennie Stennett's18-game streak in 1971...Went hitless in his next four games and 15 at bats until homering in first at bat on 9/17 vs. Arizona...Hit safelyin 12 of his 14 games from 9/17 thru 10/1...Went hitless in his last two game (six at bats) to drop season average from .300 to .296...His54 RBI after the All-Star break were tied with Albert Pujols for third among all National League players, trailing only Colorado's Troy Tulowitzki(61) and Carlos Gonzalez (57)...Ranked second behind Atlanta's Martin Prado (.310) with a .298 batting average as a second baseman...Madea total of 105 appearances (104 starts) at second base and six appearances (five starts) at third base with Pittsburgh...Made seven errors(all fielding) while playing second base and one throwing error while playing third base...Ranked fifth among N.L. rookies in RBI, sixth inhits, sixth in total bases (197), fifth in slugging percentage (.462) and seventh in on-base percentage (.349)...Also tied for fourth in extrabasehits (44) and doubles...Was named the 2010 Roberto Clemente Award winner by the Pittsburgh chapter of the Baseball WritersAssociation of America; an award presented annually since 1973 to the team MVP...Received one second-place vote in the N.L. Rookie-ofthe-Year voting and finished tied for fifth overall. Spent majority of season with Triple-AIndianapolis...Led team in doubles, home runs and RBI...Made all 89 defensiveappearances at third base...Also went 1-for-8 in three games as the designatedhitter...His 34 RBI from 7/30 thru 8/31 tied him with Ryan Howard for themost in Professional Baseball in that time frame...Hit safely in first five games,hitting first home run in second game on 4/10 vs. Toledo...Saw batting averagebottom out at .182 on 5/7 after going 8-for-54 (.148) in 15 games from4/22 thru 5/7...Had back-to-back three-hit games on 5/8-9, raising average38 points to .220...Hit .313 (25-for-80) in final 23 games during the monthof May...Had first of four four-RBI games on 5/29 vs. Pawtucket...Suffered aleft knee PCL sprain on 6/2 and was placed on the disabled list on 6/10...Spenteight games on rehab with the GCL Pirates from 7/7-15...Was reinstated fromD.L. on 7/16...Homered twice and knocked in four runs on 7/30 at Norfolk...Hitsafely in eight consecutive games from 7/30 thru 8/8, going 16-for-35 (.457)with 16 RBI...Hit two home runs and had season-high five RBI on 8/29 at Toledo...Hit .339 in 29 games during the month of August, going 37-for-109 with 14 doubles, four home runs and 29 RBI...Was recalled by Pittsburgh on 9/1 and made Major League debut that night in Cincinnati; groundedout to second base as a pinch hitter (was robbed of a hit by Gold Glove second baseman Brandon Phillips)...Made first start at third base on 9/2 atCincinnati and went hitless in four at bats; also made throwing error...Flied out as a pinch hitter in first appearance at PNC Park on 9/5 vs. St. Louis...Madefirst start at PNC Park on 9/6 vs. St. Louis and singled off Jason Motte for first Major League hit...Singled as a pinch hitter on 9/8 vs. Chicago...Hitsafely in three straight games from 9/6-9, going 3-for-8...Grounded out as a pinch hitter on 9/11 at Houston...Swiped first big league base on 9/18vs. San Diego...Grounded into a double play as a pinch hitter on 9/21 vs. San Diego...Hit safely in back-to-back starts on 9/22-23...Struck out as apinch hitter on 9/24 vs. Cincinnati...Tallied lone extra-base hit (double) in pinch hitting appearance on 9/29 at Chicago...Made a total of nineappearances (eight starts) at third base for Pittsburgh...Batted .267 (31-for-116) with nine doubles, four home runs and 16 RBI in 34 games withMargarita during the Venezuelan Winter League. Was rated by Baseball America as Pittsburgh's number two prospect prior to the season...Was a non-roster invitee with the Pirates duringspring training and hit .261 (6-for-23) with three RBI in 10 games...Spent entire season with Indianapolis, his first full season at the Triple-A level...Wasnamed the club's Most Valuable Player after leading team in triples, home runs and RBI...Was named the International League's Best Defensive ThirdBaseman by Baseball America in just his second season at that position...Led league third basemen in games (128), total chances (358) and doubleplays (20)...Ranked fifth among league leaders in games played, tied for ninth in triples and was 10th in RBI...Batted .255 (36-for-141) with fourhome runs against left-handed pitchers and .236 (86-for-364) with 12 homers against right-handed pitchers...Went 3-for-5 and hit first Triple-A homerun on 4/9 at Syracuse, snapping a 2-for-17 start to the season...Homered in back-to-back games on 5/3-4...Was hitting .196 following the action on5/15; batted .259 from that point on...Went 5-for-10 with three home runs and six RBI in back-to-back games on 6/7 and 6/8 at Louisville; smackedtwo homers on 6/8...Batted .248 with seven homers and 19 RBI in 25 games during the month of June...Went season-high 21 straight games withoutmaking an error at third base from 6/11 thru 7/3...Hit safely in 11 of his 12 games from 7/17-28, going 16-for-50 (.320) with 15 RBI...Produceda .275 average in August and hit safely in 21 of his final 28 contests (31-for-109, .284). Was converted from catcher to third base while attending spring training as a non-roster invitee...Hit .355 (11-for-31) with twohome runs and eight RBI in 19 Grapefruit League games...Hit a combined .277 (137-for-495) with 33 doubles, 13 home runs, 66 RBI and84 runs scored in 136 games between Double-A Altoona and Indianapolis...Posted a .920 fielding percentage (27 errors in 338 total chances)at third base between the two clubs...Batted .271 (95-for-350) with eight home runs while batting left-handed and .290 (42-for-145) withfive homers while batting right-handed...Began season with Altoona, where he hit .320 (64-for-200) at Blair County Ballpark...Hit four homeruns during a five-game stretch from 4/28 thru 5/3...Went 4-for-4 with a double, home run and two RBI on 5/15 vs. Portland...Belted a pairof home runs on 5/27 at Bowie...Hit a grand slam and had five RBI on 6/28 vs. Trenton (game two)...Posted a .363 average (33-for-91) duringthe month of June...Started at third base and went 1-for-2 for the Southern Division at the Eastern League All-Star Game...Snapped a 1-for-24 streak after going 3-for-3 with two RBI while reaching base safely in all five plate appearances on 8/4 vs. New Hampshire...Waspromoted to Indianapolis on 8/17 for the remainder of the season...Hit safely in six straight games from 8/28 thru 9/2...Hit .268 (40-for-149) with nine doubles, four home runs and 17 RBI in 38 games for Venados de Mazatlan during the Mexican Winter League. Was ranked by Baseball America as Pittsburgh's top prospect and as the organization's best athlete prior to the season...Combinedto hit .271 with five homers and 38 RBI in 82 games between Lynchburg (A) and Altoona...Missed spring training and the first month of theseason while recovering from off-season surgery to repair torn ligaments in his right wrist...Was added to Lynchburg roster in mid-May...Participated in MLB Futures Game on 7/9 at PNC Park in Pittsburgh...Threw out 20 of the 70 runners attempting to steal against him(29%) while playing with Lynchburg...Went 4-for-5 with two homers and four RBI on 7/30 at Myrtle Beach...Batted .321 (25-for-78) inJuly...Was promoted to Altoona on 8/15 and finished season with the Curve...Homered in first Double-A game on 8/15 at Connecticut...Wason disabled list from 8/23-29 with a viral infection...Started as the Curve's designated hitter in each of the five Eastern League DivisionalSeries contests vs. Akron and went 6-for-20 (.300) with four RBI...Participated in the Arizona Fall League and hit .290 (20-for-69) with eightRBI in 18 games with the Grand Canyon Rafters. Was rated by Baseball America as Pittsburgh's second-best prospect prior to the season...Batted .298 with 12 home runs and 80RBI in 129 games between Hickory (A) and Lynchburg...Spent majority of season with Hickory, where he was named to South Atlantic Leaguemid-season and post-season All-Star teams...Established minor league career high with 157 hits...Went 4-for-4 with three RBI on 4/28 vs.West Virginia...Hit safely in nine of his 11 games from 4/27 thru 5/78, going 18-for-41 (.439) and raising average from .217 to .300...Homeredtwice on 6/26 at Asheville...Recorded second four-hit game on 7/20 at Greensboro...Hit .415 (34-for-82) in final 20 games with Hickory, raisingaverage from .278 to .301...Was promoted to Lynchburg on 8/25 and hit safely in first seven games with Hillcats (11-for-33)...Also talliedat least one RBI (12 total) in first seven contests...Participated in the Arizona Fall League and hit .265 (13-for-49) with two homers and fiveRBI in 17 games with the Peoria Saguaros...Was rated by Baseball America as the second-best prospect in the South Atlantic Leaguefollowing the season. Was ranked by Baseball America as the second-best pure hitter, third-best power hitter and having the best strike zone judgmentamong high school players prior to the June draft...Was selected by Pittsburgh in the first round of the First-Year Player Draft (11th pickoverall)...Made professional debut with the Gulf Coast League Pirates as the starting catcher on 6/25 against the GCL Twins and went 0-for-3...Collected first professional hit and RBI the next day against the Twins after going 2-for-5 with an RBI and run scored as the designatedhitter...Hit first professional home run on 7/12 against the GCL Red Sox...Homered in three straight games from 8/10 (game two) thru8/12...Went 4-for-5 on 8/23 vs. GCL Red Sox...Finished season by playing final eight games with Williamsport in the New York-PennLeague...Reached base safely in seven of his eight games, hitting safely in last four (7-for-17, .412). 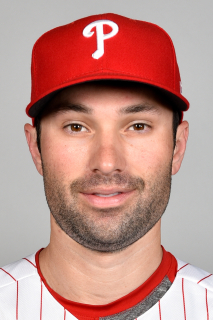 January 29, 2019 Miami Marlins signed free agent 1B Neil Walker. October 29, 2018 1B Neil Walker elected free agency. March 12, 2018 New York Yankees signed free agent 1B Neil Walker. November 2, 2017 2B Neil Walker elected free agency. August 13, 2017 Milwaukee Brewers activated 2B Neil Walker. August 12, 2017 New York Mets traded 2B Neil Walker and cash to Milwaukee Brewers for Player To Be Named Later. July 28, 2017 New York Mets activated 2B Neil Walker from the 10-day disabled list. July 21, 2017 New York Mets sent 2B Neil Walker on a rehab assignment to Las Vegas 51s. June 15, 2017 New York Mets placed 2B Neil Walker on the 10-day disabled list. Partial tear in left hamstring. November 3, 2016 New York Mets activated 2B Neil Walker from the 60-day disabled list. August 26, 2016 New York Mets placed 2B Neil Walker on the 60-day disabled list. August 23, 2016 New York Mets placed 2B Neil Walker on the paternity list. December 9, 2015 Pittsburgh Pirates traded 2B Neil Walker to New York Mets for LHP Jonathon Niese. June 24, 2014 Pittsburgh Pirates activated 2B Neil Walker from the 15-day disabled list. June 22, 2014 Pittsburgh Pirates sent 2B Neil Walker on a rehab assignment to Bradenton Marauders. July 23, 2013 Pittsburgh Pirates activated 2B Neil Walker from the 15-day disabled list. July 19, 2013 Pittsburgh Pirates sent 2B Neil Walker on a rehab assignment to Indianapolis Indians. July 9, 2013 Pittsburgh Pirates placed 2B Neil Walker on the 15-day disabled list retroactive to July 7, 2013. Right side soreness. May 13, 2013 Pittsburgh Pirates activated 2B Neil Walker from the 15-day disabled list. May 9, 2013 Pittsburgh Pirates sent 2B Neil Walker on a rehab assignment to Altoona Curve. May 3, 2013 Pittsburgh Pirates placed 2B Neil Walker on the 15-day disabled list retroactive to April 27, 2013. Right hand laceration. May 25, 2010 Pittsburgh Pirates recalled Neil Walker from Indianapolis Indians. March 23, 2010 Pittsburgh Pirates optioned Neil Walker to Indianapolis Indians. October 9, 2009 3B Neil Walker assigned to Bravos de Margarita. September 1, 2009 Pittsburgh Pirates recalled Neil Walker from Indianapolis Indians. July 16, 2009 Neil Walker roster status changed by Indianapolis Indians. July 7, 2009 sent 3B Neil Walker on a rehab assignment to GCL Pirates. June 10, 2009 Indianapolis Indians placed 3B Neil Walker on the 7-day disabled list.